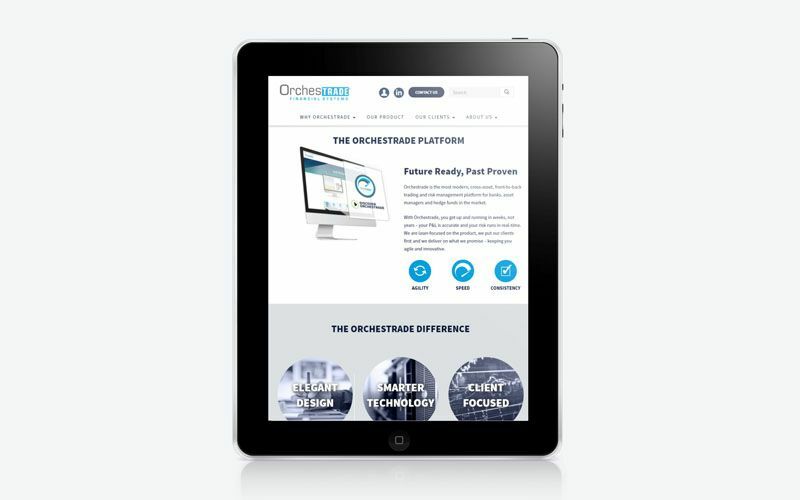 Orchestrade delivers the most modern cross asset, front-to-back trading and risk management platform for banks, asset managers and hedge funds. We were tasked by Orchestrade to perform a major brand buildup-enhancement for their company. They needed to establish an elegant, modern, and cutting edge look which compliments their core product offerings. Collaborating tightly with the client, thorough planning & analysis were done to understand how the client would like to position their brand in the market. Concepts were generated for a comprehensive list of marketing collateral, where weekly progress calls were held to ensure stakeholders were in sync with the deliverables. Working closely with Orchestrade, we implemented a revamped brand concept that embodies speed and elegant software design. Some of our deliverables includes a detailed style guide, product brochure template, case study template, and a modern clean looking responsive website.